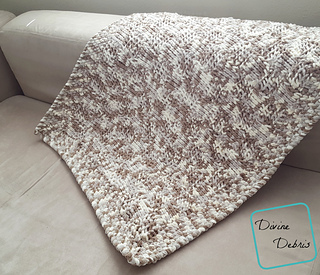 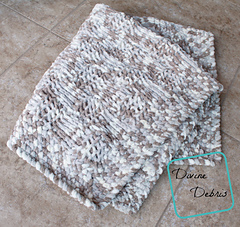 Combining Tunisian crochet, big/squishy baby yarn, and a simple single crochet border creates a fun and easy baby blanket that looks complicated but isn’t. 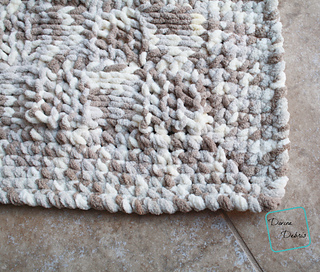 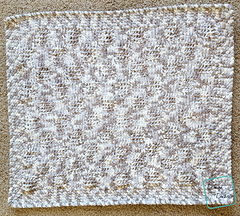 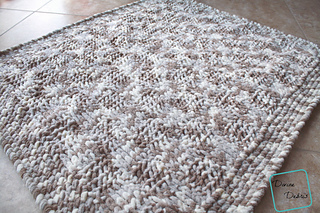 Mixing a couple Tunisian stitches gives you a basket weave design in the center, reminiscent of knitting, and allows for a dense and cozy finished piece. 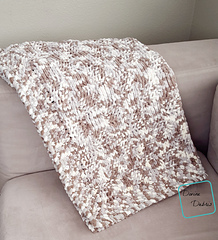 The multiple is included in the pattern if you’d like to go bigger and make a very cozy lapghan or quilt.